Extreme heatwaves put tremendous pressure on the electricity grid as demand for energy outstrips supply. As temperatures soared above 40 degrees in Adelaide in February 2017, a blackout caused by load shedding left 40,000 households without power for over half an hour. It’s at times like these that backup generation comes into play. Typically, this may require firing up a diesel-powered turbine or a gas plant, like the one at Pelican Point in South Australia, to meet the increased need for power. Another option is distributed energy resources (DER)-small-scale, locally generated power sources that can be amassed to form a power supply that is efficient, reliable, and cost-effective. One example is the virtual power plant (VPP), a network of home battery systems installed ‘behind the meter’. To help drive initiatives in this space, ARENA is investing $7.8 million in Simply Energy VPP—a $30 million development that will see 1200 Tesla Powerwall 2 home batteries sold to homeowners at a subsidised price. They will then be delivered to Adelaide households with rooftop solar systems to create the city’s second virtual power plant. “Simply Energy is proud to be able to deliver this innovative solution that helps our customers reduce their energy costs while also providing additional energy security in South Australia,” says Simply Energy CEO Carly Wishart. “We will work closely with South Australian Power Networks to give both networks and the market operator greater visibility of behind-the-meter batteries and the ability to use batteries to manage demand and manage network constraints, reducing network costs. The ground-breaking Simply Energy project incorporates Australia’s first digital marketplace for renewable energy, known as Decentralised Energy Exchange, or deX. Developed by energy startup GreenSync, which was also funded by ARENA, deX allows users to buy and sell power generated by rooftop solar and stored in home batteries. 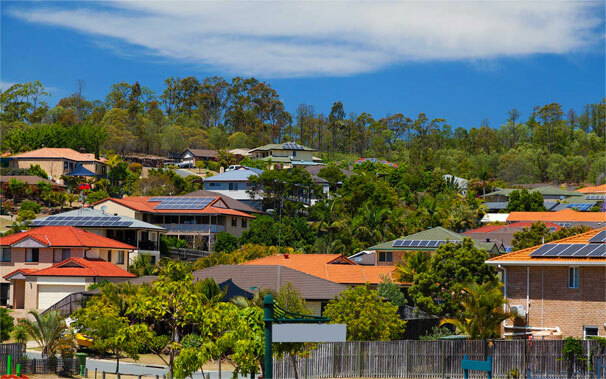 After a successful pilot at two network locations in the ACT and Victoria, the Simply Energy VPP will deploy deX on a commercial scale for the first time. The scheme’s benefits include reduced electricity bills for users as they consume solar power generated on their rooftop and sell energy back to the grid via deX during peak, high-price periods. Commercial users will have access to a more reliable energy supply, and energy companies will benefit from reduced network costs and increased grid stability. Initiatives that rely on DER, like the Simply Energy VPP, signal a shift in Australia’s energy production from a centralised grid to a decentralised system incorporating more renewables. Traditionally, the electricity grid was a vertical system that distributed energy in one direction—from the power plant to consumer. Today, advances in technology mean that any house with rooftop solar and battery storage system can operate as an electricity generator. Link these households up, and you have a DER network that, when collectively managed, can both reduce demand and supply power during peak periods. Aggregated DER can also help maintain the grid’s stability as more energy comes from renewable sources like wind and solar, which can be intermittent. ARENA CEO Ivor Frischknecht says the project will further demonstrate how home batteries can be aggregated to help with grid stability, managing demand and better utilise rooftop solar to store surplus electricity. Energy retailers can increase supply—to a point—but this can be a slow and imprecise process. During summer heatwaves, electricity consumption spikes by as much as 46 per cent. Demand response sees users reduce consumption during these peak periods to help maintain supply and avoid outages. Users, often offered financial incentives, agree to reduce consumption during periods of high demand. In the event of a heatwave, this helps curb demand and stabilise the grid without having to rely on inefficient and costly sources of backup generation.